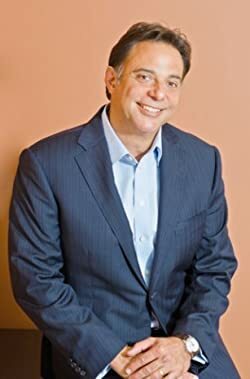 Author Charlie Massimo is the president and founder of CJM Wealth Management, named top wealth management company on Long Island by NABCAP. Massimo started his career in 1984 as a compliance officer at Shearson Lehman Brothers. He moved to New York Life Insurance Company as a Senior Representative and later joined Merrill Lynch as a Financial Consultant in the Private Client Group. In 1999, he joined Smith Barney as Vice President of Investments. While his career was advancing, Charlie became aware of the diverging interests between his employers and their clients: one seeking to sell products and the other desiring a sustainable portfolio. He details these experiences, as well as his conversion to the sound principles of structured investing in his new book, Getting Off the Street: Sane Investment Advice from One of the Nation's Leading Wealth Managers (Offstreet Press, 2014). Married and the father of triplets, one daughter and two sons, both of whom are on the autism spectrum, Charlie realizes that each of his clients has a vision for their life and the lives of their loved ones. Please enter your email address and click the Follow button to follow Charles Massimo!